Ballinlough's amazing year continued last Saturday when the clubs Under 21 batch qualified for the C championship final. Bective were defeated by nine points in Athboy. 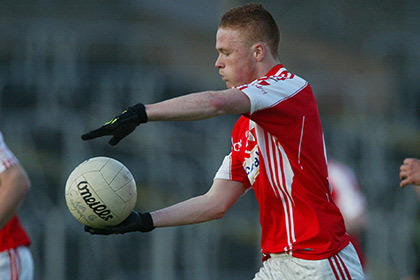 Ballinlough were dealt a significant blow before the throw as Michael Geraghty, Mark Mc Cullen and Dylan Montgomery were all ruled out through injury. The North Meath outfit were in firm control of the first half. Johnnie Reilly opened the scoring and further points from Jonathon Reilly, Adam Fox, Jack Tunney and Jonathan Montgomery had Ballinlough 0-5 to 0-0 up after 20 minutes. Bective replied with two points before Montgomery finished the scoring with a well taken goal. The winners went in 1-5 to 0-2 up at the break. Early scores from Daire Farrelly and Jack Tunney (2) opened up an eight point gap after ten minutes of the second half. Bective began to dominate and with five minutes to go had the gap down to a goal 1-9 to 1-6. Seeing that the game was in danger of been lost Ballinlough upped it again and struck for 2-1 in the closing minutes. Brain Brady and Fox gout the goals. Ballinlough had good performances from Jonnie Reilly, Gary Reilly, Daire Farrelly and Brian Brady, they will take on Moynalty in the final.